At the time of the interview, Tricia was performing as Vivienne Kensington in Legally Blonde The Musical at the Savoy Theatre. 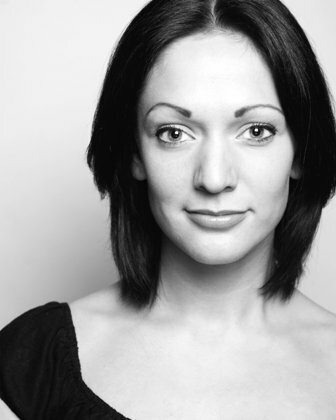 She has previously played several roles in West End productions, including Teacher in We Will Rock You and Laura in All The Fun of The Fair. One of her early performances was in a local stage school production of Blood Brothers, and it was in this musical that she subsequently made her West End debut. Earlier this week Tricia took some time out from her law books to answer some questions about herself and her career. At what age did you first show an interest in singing or wanting to be a performer? At 9 years old I joined a local weekend stage school, and I loved it. One term we did a production of Blood Brothers, and I played Mrs Johnstone. I still love that show. Was there anyone in particular who inspired you to be an actress or a singer? I’ve always loved Judy Garland, I don’t think she gets enough credit for her acting skills. Her voice was something special too. I understand that you were a vocalist in Good Thing Going with the Royal Philharmonic Orchestra at Cadogan Hall and in Barbara Cooke and Friends at the Coliseum. How did this compare with your previous stage performances? We were lucky enough to work with some very exciting people, and I love Sondheim’s music. I was still training at the time so feel very lucky to have been given the opportunity. What was it like making your West End debut as Donna Marie and Alternate Mrs Lyons in Blood Brothers at the Phoenix Theatre? It was one of my favourite shows so I couldn’t believe my luck. You subsequently appeared as Laura in All the Fun of the Fair alongside David Essex, at the Garrick Theatre. How did it feel performing alongside such an established pop star? Well, my mum was ecstatic! David is lovely and the show is back out on tour again now. David works hard, and is very committed, and I think he expects the same from his cast. You have appeared in We Will Rock You as Teacher and also as Killer Queen. What was it like performing in such a popular musical and also starring as the Killer Queen, which is such a commanding role? I had the best year, you could not ask for a nicer company. It was so much fun getting on as Killer Queen, the wig and costumes were beautiful, so much work goes into them. There has been quite a variation in your stage roles to date, how would you describe your theatrical journey so far? As an actor, you know you’re so lucky to be working at all, and if you can do a show that you love that’s a bonus. You have recently taken on the role of Vivienne Kensington in Legally Blonde The Musical. What is it about the part that attracted you to it? I’ve covered some older parts, and in Vivienne I saw a part I could play in my own right. I think she’s great, it’s always the most fun to play the bad’uns. How would you describe Vivienne to someone who hasn’t seen the show? She’s a no nonsense hard working woman, who will crush anyone who gets in her way. In fairness to her, Elle is trying to steal her boyfriend. I think we can all get a bit catty if put in a situation like that! What do you think makes Legally Blonde such a successful show? It’s very well written, and it’s always popping up on TV, so people are aware of it. The film was great, and most people know of it, so that gives us a head start over lesser known shows too. You have only recently joined Legally Blonde, so thinking long-term, is there a show that you would one day like to perform in? I’m happy to see what happens, I’d love to do a straight play at some point. What are your routines on the day of a show? Lie in….and we have a physical warm up at 6:00pm so I like to get in before that to get ready. Who would you most like to appear on stage alongside or sing a duet with? As we only get a Sunday, I have to force myself to take it as a rest day. It’s easy to get wrapped up doing chores and faffing about, but you need that day to relax. Thank you Tricia and best wishes for Legally Blonde! Tricia is such a Talented Girl. I live in newton Abbot where she went to School and hear so many good things about how motivated and committed she is. What an Inspirational Young Woman. I have seen her perform at the West End and love all of her Perfomances.